I hate Lauki (Bottlegourd ) and I know many more people who are like me. I remember my Mom would always make potato vegetable along with it so that I could eat it. 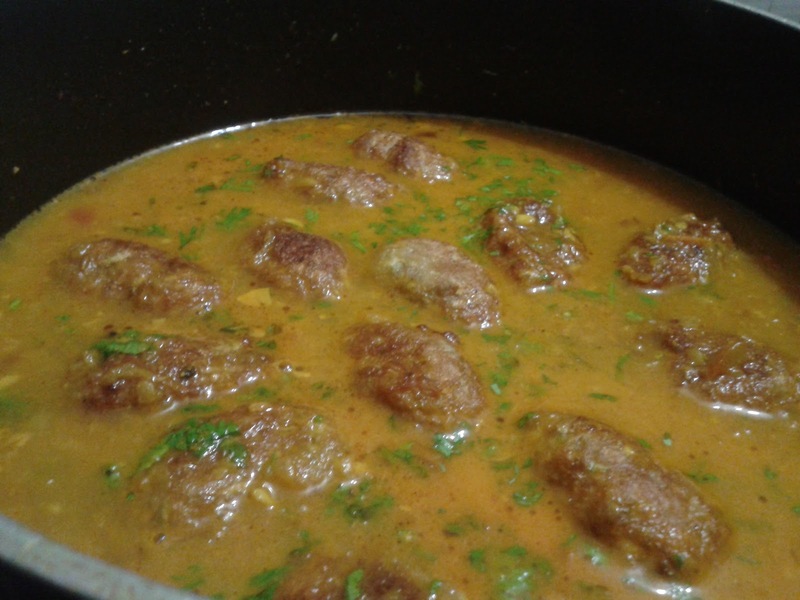 But then there were days when she would serve it as kofta’s and trust me we wouldn’t even know that very slyly she was feeding us (though it is a different matter altogether that it loses its benefits after frying) the much hated lauki. Put 2-3 glasses of water to boil, peel the Lauki and grate it. Once the water starts boiling put the grated Lauki in it and let it boil for 3-4 minutes. Switch off the gas and let the Lauki lie in the hot water for 10 minutes. Later drain the Lauki out in a drainer and it let cool. In the meanwhile you can start working on the gravy by adding Two Tbsp oil in a kadhai; add jeera, minced ginger & garlic. 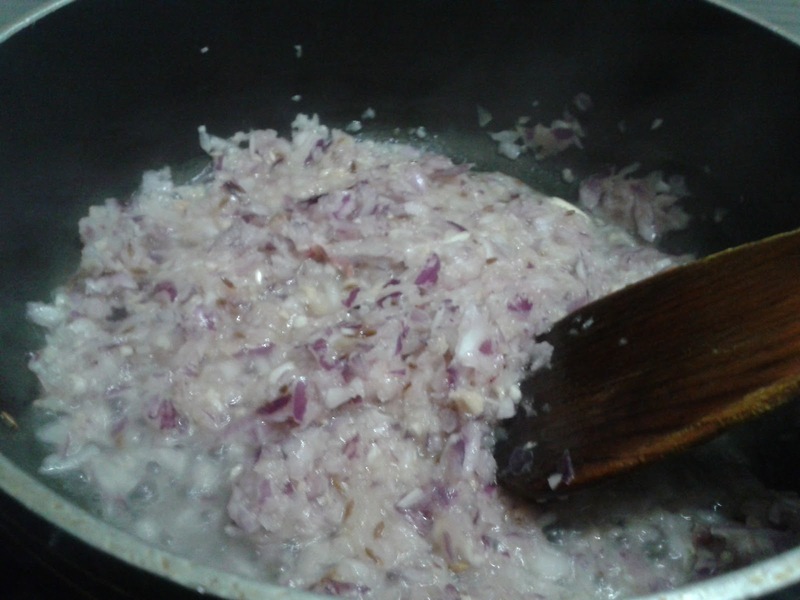 Let it fry for two minutes and then add the chopped onions. Once the Lauki cools down take small-small quantities of Lauki in your palm & squeeze out the water. This step is very important because it decides how good your Kofta’s would be. Please ensure that you manage to squeeze out the maximum water. Once this is done add all the ingredients mentioned under the head “For Kofta’s” and knead this into soft dough. Keep stirring the onions in between. Heat the oil for frying. 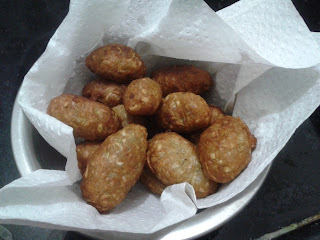 Make small balls of the dough and fry it in batches and don’t forget to stir the onions in between. Key to perfectly fried Kofta’s? Remember that when you are putting them to Fry the oil should be hot, 2-3 mins after putting them in put the flame at medium, keep rotating the balls so that they don’t get overcooked from one side. Just before you are taking them out increase the flame, cook for 2-3 mins and take them out when they are golden brown. Ready to be thrown in the sea of gravy! By the time you would be done with the Kofta’s the onions would have turned brown. Now add the masala’s i.e. Red Chilli Powder, Dhaniya Powder, Turmeric Powder & Salt. 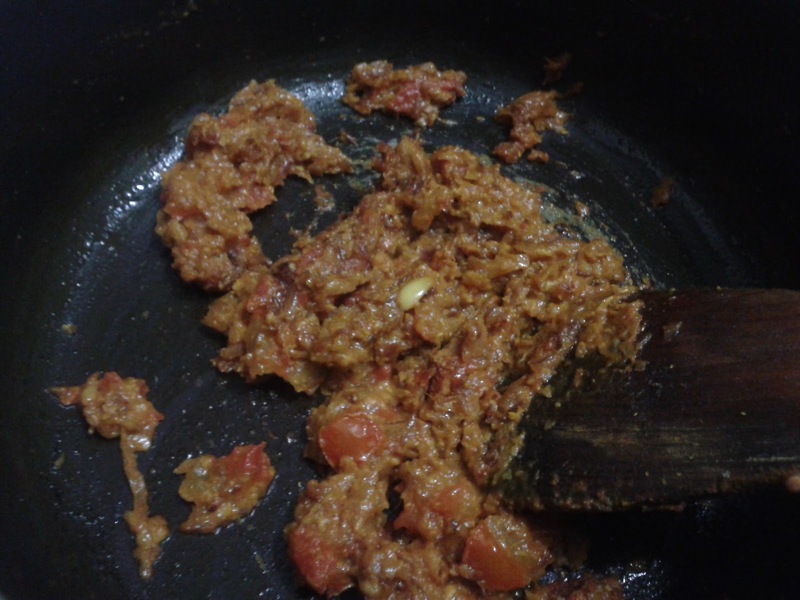 After 2 mins add the chopped tomatoes, cover the kadhai and let it cook at medium flame. Keep stirring in between and once the tomatoes’ are cooked add the curd & Malai. Cook it at high flame and once the oil separates from the masala add approximately 2 cups of water, bring it to boil and then let it cook at low flame for approx. 10-15 minutes. Now add the Kofta’s slowly and turn off the gas. Garnish it with cilantro leaves and serve it with hot roti’s/ rice. There is an alternate way to make the gravy which you can find here. http://books-life-n-more.blogspot.in/2012/08/some-weight-updates-recipe.html. The only difference here is that we make a paste of the Onions + ginger + garlic + tomatoes and then cook it. Since this method takes more time I would advise you to start with this even before par boiling the Lauki. This will save you loads of time. I prefer using the second method on days when I have extra time or when I am expecting guests, it is however very important that the masala has to be cooked very well otherwise there would be this half cooked taste which can spoil all the efforts. Here, this is the picture of the subji made with the second method. The difference is just in the texture of gravy. Do you make this dish? Same way or some other version? Do share. Haandva no lot?? What is that re?? And yes sometimes even I replace it with simple atta :) You know my MIL used to add more besan and the result used to be hard Kofta's?? You know with experience I have realised that how small small things make major differences to cooking? Same dish, same ingredients tastes so very different only because of difference in putting it!!! Oh and i forgot to add, in place of besan i add haandva no lot to koftas. I make it the same way but never added bread in it. Good idea it is... will give better binding to the kofta. Will try it out! tired it.. but got doubts while preparing.. u didnt tell if i need to remove the seeds, and what to do when it becomes too watery.. :).. by the way.. it tasted really good..
Yummy koftas...this one is a favourite...a great way to get kids to eat lauki too.